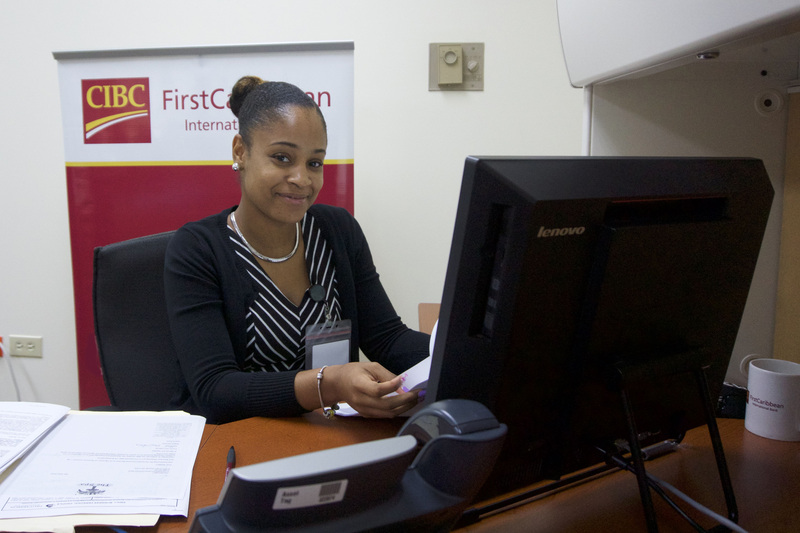 Sabraina Perry is one of four young women participating in a summer internship programme at CIBC FirstCaribbean, BVI. 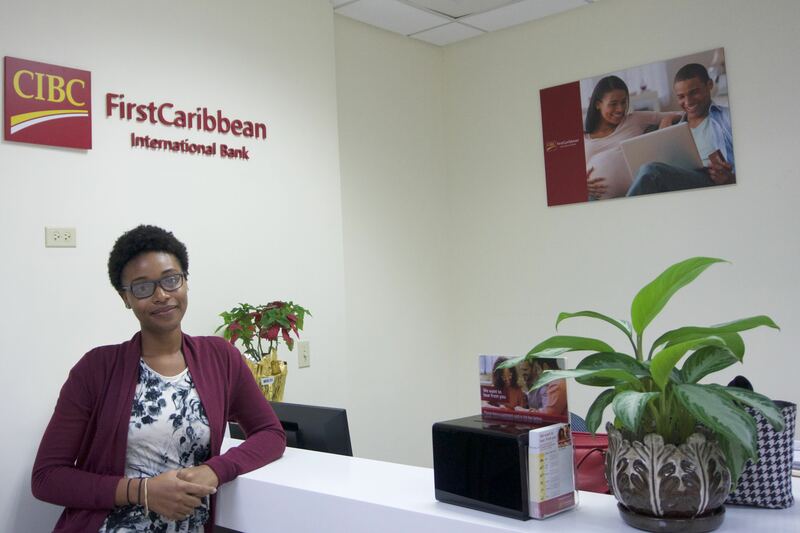 PRESS RELEASE: Four young women participating in CIBC FirstCaribbean’s summer internship programme on Tortola are gaining an insight into the banking industry. The four interns, who are working in different business segments of the regional bank, are at various stages in their education. This summer, they are taking the opportunity to get some work experience and also determine whether or not a career in banking is right for them. Alyssa Yvette Leonard, a BVI Seventh Day Adventist School alumna, returned to the Virgin Islands after completing her A-Levels at the South Gloucester Stroud College in Bristol, UK in June this year. She is planning to attend the H Lavity Stoutt Community College (HLSCC) to study Biology in September with a view to studying nursing at Missouri Southern State University. Sharayah John graduated from the BVI Seventh Day School this summer as valedictorian. Just a week into her internship in International Corporate Banking, John was enthusiastic about the opportunity. “I’m planning to attend the University of the Southern Caribbean in Trinidad and Tobago and pursue a double major in Accounting and Biochemistry,” she said. “I enjoy the sciences and am undecided as to whether I want a career in finance or medicine so I am hoping that this experience will give me a bit of an idea of what I might expect in the banking world,” added John. Katonya Maduro, a freshman majoring in Accounting at the University of Central Florida (UCF) is expecting to complete her Bachelor’s degree in 2020. “I worked as an accounts clerk at TAG before I went to UCF. I’m at the bank on a two-month internship which I hope will help me to decide if I want to pursue a career in the banking sector of the finance industry,” said Maduro. Meanwhile, Sabraina Perry, a graduate of St George’s Secondary School will be entering her final semester at the HLSCC to complete a Business Administration course before attending the University of the West Indies to study for a Marketing and Advertising Degree. 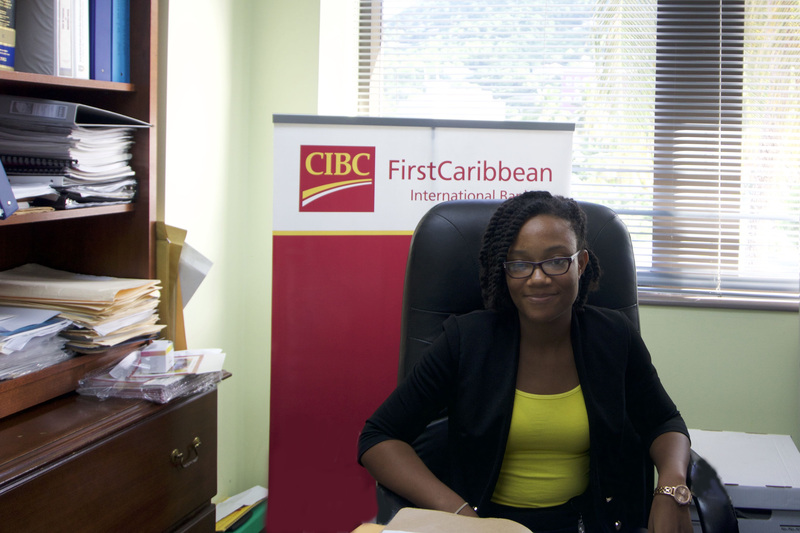 Stephane Burke, Country Manager for CIBC FirstCaribbean. “Ideally we want young people to apply for vacancies as they arise and we want them to stay and progress up the ranks. If we have applicants who have already spent time with us in some capacity and they apply for a position, we know that if they liked their experience with us well enough first time round, these are the recruits who will be keen to make the most of the opportunities offered to them,” Burke explained. 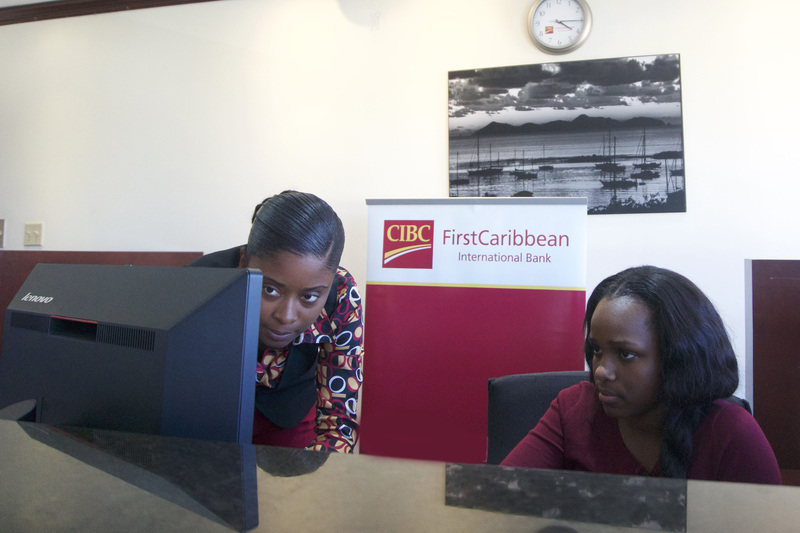 The four interns in the VI are part of the regional banks’ summer internship programme which has seen close to 100 young men and women getting hands-on experience in various departments across CIBC FirstCaribbean’s other 16 locations across the region.